Francis Fecteau, proprietor of SLC-based Libation, agrees that it’s an exciting time to work in spirits education. Fecteau opines that traditionally the wine industry hasn’t done itself any favors by making selecting and enjoying wine much more complicated than it needs to be. He applauds any and all efforts to “de-fang the vocabulary” of wine terminology, by giving both customers and servers a common language for getting in the glass that people want to drink. “You recognize good wine when it puts a smile on your face,” Fecteau says. Ready to elevate your wine experience? There’s no shortage of opportunities to up your grape know-how, from casual community get-togethers to serious sommelier-level certification programs. And if my own experiences with these educators are any indication, you’ll have a helluva good time along the way. During a comprehensive—and incredibly entertaining—three-hour chauffeured tour, sommelier and “Headmistress of Wine” Kirsten Fox leads groups of happy imbibers to six historic locations around Park City. 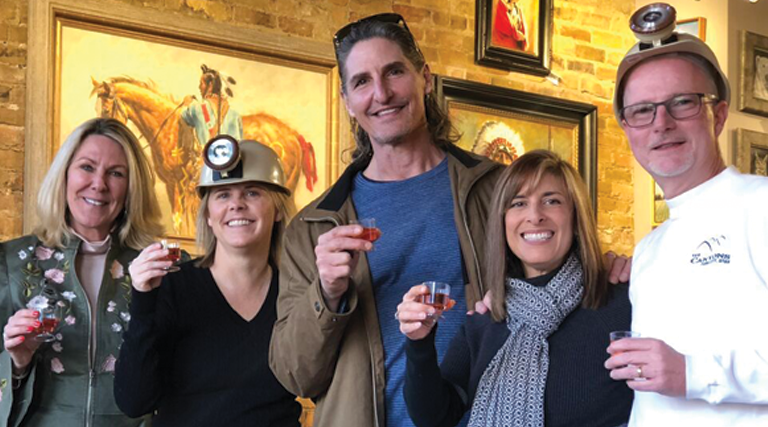 At each stop, Fox School of Wine staff share their expertise on wines from all over the world as well as Park City’s rich mining history, pairing libations to both the historical location and with thoughtfully selected snacks. I was hooked from the first glass of bubbly served at the tour’s starting point at Deer Valley’s Montage: a Gloria Ferrer ’09 Royal Cuvée from Caneros, California sipped while overlooking the historic remains of the No. 1 Daly West Mine. By the tour’s final stop along what used to be the mining camp’s red light district, the dozen members of our group were wearing feather boas and toasting our new friendship with a Warres 20-year Tawny Port from Operto, Portugal. Check the Fox School of Wine website to register for the year-round tours (held in all weather—dress appropriately! ), which occur several times a month. The school also offers other fun wine education events, like American Cheeses & Wines and popular one-hour Weekend Wine Series topics held each Saturday night at the Silver Baron Lodge in lower Deer Valley. Word to the wise: Fecteau’s wine classes at Caputo’s fill up fast. As one of the most entertaining and candid wine educators in this town of very talented spirits specialists, Fecteau’s style is memorable, to say the least. 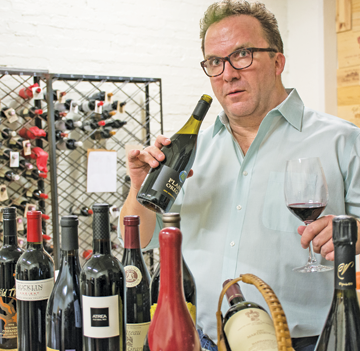 “Traditional sommelier training drives me f—ing nutty,” Fecteau says. 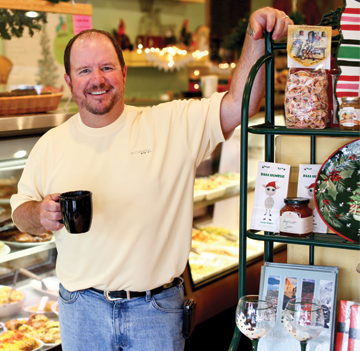 He perceives the industry over-emphasizes persnickety food-and-wine pairing and flowery descriptors. “Wine is an agricultural product. It’s all about the environment and how that particular place makes a great tasting wine,” he says. Both his culinary background and boots-on-the-ground experience working alongside winemakers in California shines through in his emphasis on making connections between where, why and how wine is produced, long before it ends up in a fancy glass. Or a coffee mug. He’s not judging. Awarded Wine Scholar Guild Instructor of the Year in 2016, sommelier Sheral Schowe has a dedicated following. Students range from vino hobbyists to serious wine scholars graduating from her Italian wine and French wine certification programs. As an introduction to her style and knowledge base, Schowe has been instructing tasting classes at Harmons locations for several years, with popular offerings like Wines and Cheeses of the Pacific Northwest, chef’s table wine dinners, and, a fun look into her personal cellar of collectable rarities, the Premium Wine Club lunch hour held once a month. Some of the most diverse wine and spirits education programming in the state can be found through the U’s continuing education curriculum, with classes taught by experts such as Jim Santangelo, Sheral Schowe and others (including yours truly!) There’s even opportunities to learn about making your own fruit wines, such as the course taught by Cody Mckendrick at Salt City Brew Supply about this fascinating homebrew niche. 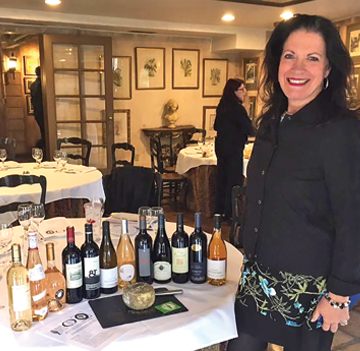 Based in Milan, Italy, and Salt Lake City, Terrestoria Wines founder Stephanie Cuadra shines a spotlight on women-led wineries and lesser-known indie wines. With this unique approach, Terrestoria’s sold-out tasting events bring some exciting new energy to Utah’s wine world. Recently, Cuadra collaborated with Tracey Thompson of local brokerage Vine Lore to develop an in-depth multi-event wine education masterclass, with sold-out dinners and rave reviews. Cuadra’s mission? To celebrate small-scale producers in Italy, Spain and the U.S. who have not been traditionally recognized outside their regions, and to champion inclusivity in the industry by introducing wines from small independent and women-run estates. It’s the O.G. wine bar for a reason. By The Glass is SLC’s first and arguably finest specifically wine-focused establishment. We’re excited to visit their new location opening some time this month (until then, visit them at 63 W. 100 South). Wine Enthusiast has twice recognized Pago with the prestigious America’s 100 Best Wine Restaurants award. Owner and sommelier Scott Evans’ commitment to including small producers who focus on sustainable winemaking practices and authenticity makes Pago’s wine list a treat to sample. Keep an eye out for exclusive visiting winemaker dinners, too. Stanza’s wine list is decidedly Italian-forward, but they’re also bringing in winemakers from less well-known regions for exciting tasting dinners. Just want a glass after work? Order the Zion bread plate ($2) and chat up sommelier/lead bartender Kelson Westervelt for some captivating vino lingo. While many will be familiar with this Utah fine dining institution as a beautiful venue for weddings and celebrations, you might be surprised to learn that La Caille also offers seven proprietary Château La Caille Wines. Their own Utah estate-produced Seyval Blanc is made with grapes grown near the mouth of Little Cottonwood Canyon (call ahead to schedule a private tasting). The small but selective wine list curated by co-owner and chef Josh Garcia is great with sharable small plates. This Trolley Square spot also hosts wine and paint nights weekly and a meet the maker tasting series. At the Salt Lake City branch of PCCI, keep an eye out for spots at their popular Chef Tasting Table series, which brings in prominent local chefs and institute faculty for multi-course wine pairing dinners. 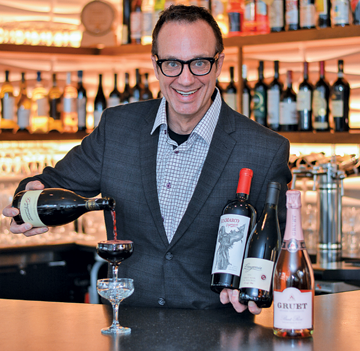 As part of the grown-ups only after dark special events programming at The Leonardo museum, wine educator Jim Santangelo highlights four to five thematic wines with chef-prepared multiple course dinners or small-plates pairings. At this gem of a spot in the Avenues, you’ll find 60 wines available by the glass, and an extensive wine list overall. Restaurant owner Dean Pierose frequently hosts winemakers for tasting dinners, like a recent cozy Willamette Valley Vineyards tasting with brand ambassador Wende Bennette. Although you can buy Cognition wine at the Park City tasting room and gift shop at 225 Main (open Wednesdays and Thursdays noon-6 p.m.), you’ll usually find sommelier and vinter Dennis Romankowski at the High Altitude Tasting Room attached to the winery on Iron Horse Drive. This venue also hosts weekly live music, a sunny patio and is available for private tasting events.